Slab up to a horizontal crack in a bulge with a bolt located above and below the bulge. 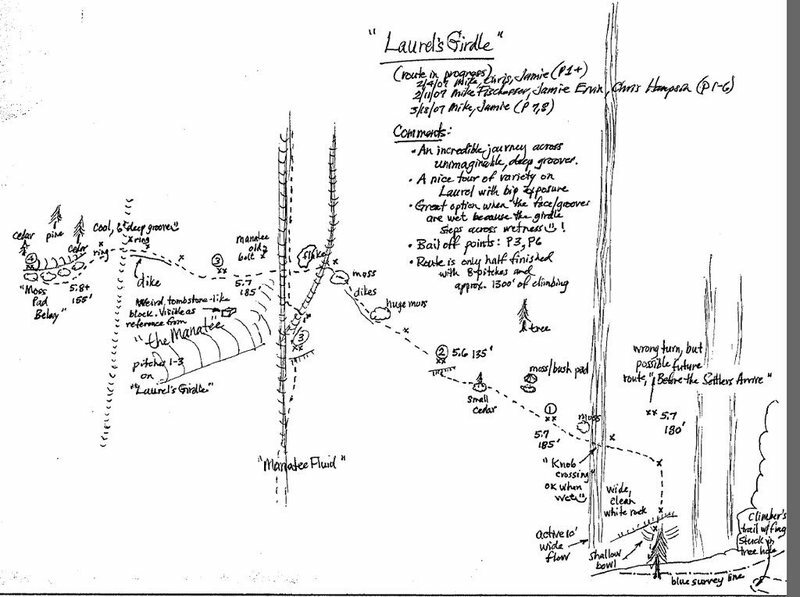 Continue up past another bolt (where Laurel's Girdle heads left) to anchors at almost 200 feet. Start of the Laurel's Girdle, LK, NC. Bolts and a bit of gear. Rap anchors. [Hide Photo] Before the Settlers Arrive, Laurel Knob, NC.